The Hungary Telecommunications report – 8th series from OGAnalysis provides a complete view of the Hungary telecom ecosystem along with trends and growth factors shaping the future of the market. The future value proposition for telecommunications market in Hungary to 2025 is detailed in the report. 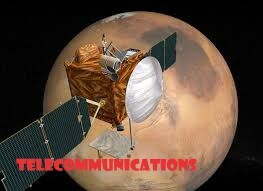 It also provides imperatives for gaining market share in highly competitive telecom industry. It provides unmatched depth and breadth into drivers, challenges, tariffs, competition, subscriber behaviour, infrastructure, regulatory support and others. The report presents detailed insights into Hungary mobile communication, fixed telephone and fixed broadband markets. Subscriber count and penetration rates are forecast for each of the sub-sectors including cellular, fixed landline and broadband segments from 2005 to 2018 and 2019 to 2025. With Long Term Evolution (LTE) rapid expansion and slowdown in 2G and 3G services, the Hungary telecom market is evolving rapidly. Embracing mobile connectivity, IoT, cloud services and smartphones has become vital for telecom companies. Operators across the value chain are forced to adapt to these emerging market changes to sustain revenue and profit. Hungary telecommunication market size, revenues, investment and infrastructure data is also included in the research work. In addition, business environment in the country is compared with five peer markets in the region to analyse Hungary market prominence on regional front. Telecom operators in Hungary are witnessing wide range of challenges including rapidly changing customer patterns, financial and technological challenges. Identifying the emerging trends and converting them into actionable strategies is vital for sustaining profitability. This report analyses leading telecom companies in Hungary across the value chain, SWOT analysis, tariffs and financial profile. The research work also includes detailed SWOT analysis of Hungary telecommunications market to enable users to identify key trends and hidden opportunities. It identifies emerging and new market trends across segments in the industry.